Our PeopleSoft Recruiting Solutions implementation methodology is designed to assist with initial planning, template and workflow design, configuration, and deployment of the application in an efficient and structured manner. Our PeopleSoft specialists work closely with the functional subject matter experts to analyze existing recruiting practices, changes in processes, and impact on related staff. This is important as your new Talent Acquisition Manager (TAM), Candidate Gateway, and Resume Processing (Resume Mirror) is rolled out to the workforce. Each phase of the engagement results in a set of deliverables presented to the customer team. For example, the fit analysis phase is accompanied by documentation detailing joint team findings, project decisions, configuration steps, open issues requiring action, and project management tools. 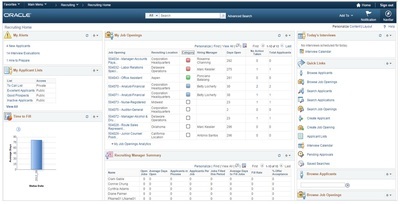 Oracle's new PeopleSoft 9.2 Recruiting Solutions application has a significant number of functional enhancements, usability and navigation updates, and real-time embedded analytics (e.g. job opening time to fill stats). 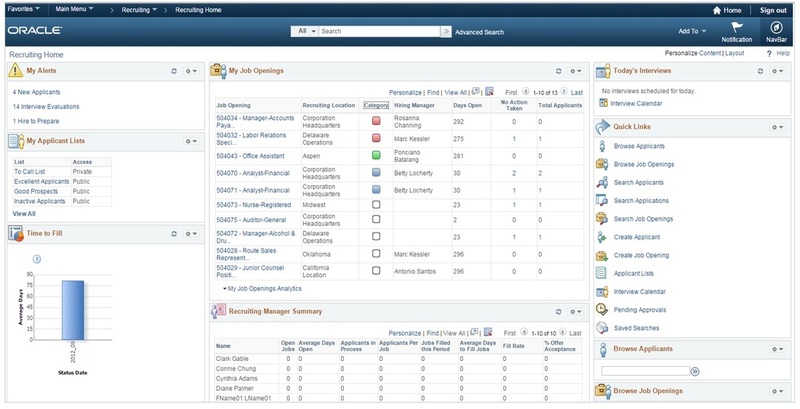 Additional job opening categories and job applicant filters have been improved with color-coding and menu buttons and links that can be personalized by the user.